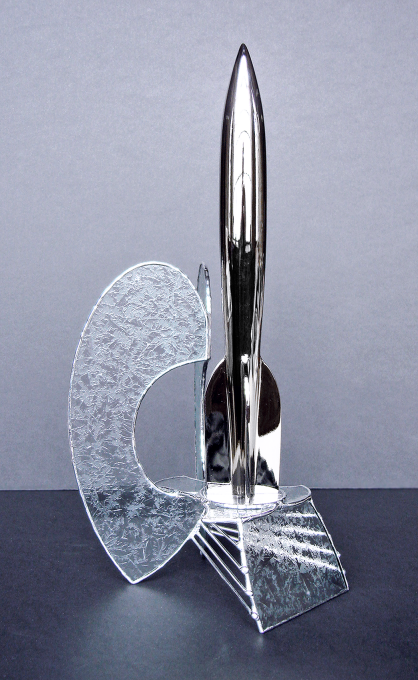 Hugo photograph used by kind permission of the trophy base designer Deb Kosiba and the official Hugo Awards site. Presented at Kontakt (SFeraKon 34 and Eurocon), Zagreb, April 2012. Photo by David Langford. 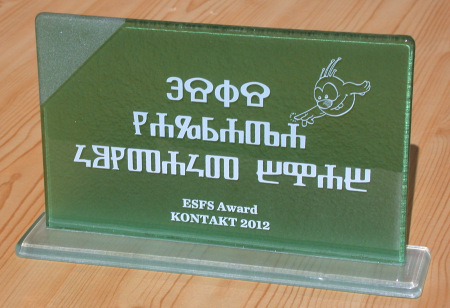 Our thanks to Martin Hoare for accepting on behalf of the SFE editors. Photo by David Langford. 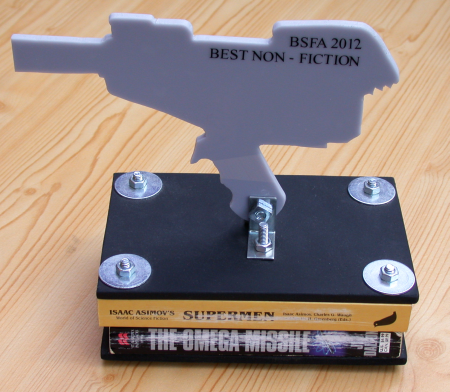 Yes, the trophy incorporates old paperbacks with bolts driven through them.